It’s fascinating to see how people’s opinions on The Force Awakens (TFA) have changed since its release in late 2015. Like many, I was originally deeply in love with it, simply for the fact that Star Wars had returned (and more importantly, it was miles better than the prequels). Now, I acknowledge that this may be a gross oversight on my part, but I sense that some felt exactly the way I did. However, since then, I have come across many opinions that have accused TFA as being nothing more than a best-of. Luckily for those who share this opinion, The Last Jedi goes to places never explored in the Star Wars franchise and is the boldest, most interesting instalment since The Empire Strikes Back. Directed by Rian Johnson (Looper, Brick) and starring Daisy Ridley, Oscar Issac, Adam Driver, Mark Hamill and Carrie Fisher, in her final role, Star Wars: The Last Jedi begins almost immediately where The Force Awakens left off; continuing the adventures of Rey, Finn and Poe Dameron, as well as old favourites Leia and Luke. This is as brief a consensus as you’ll get, but due to the huge anticipation for the film, it’s best if I describe as little of the plot as possible, in order to avoid any potential spoilers. 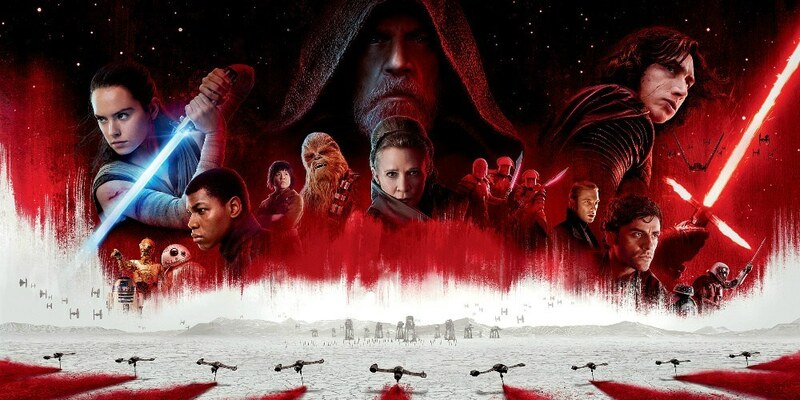 A lot has been said about the various directions the film takes, but there is very little doubt that The Last Jedi is far more interesting than its predecessor. 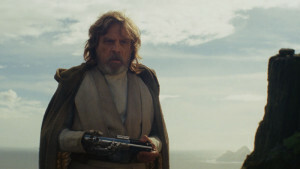 Instead of rehashing what’s come before, director Rian Johnson has crafted an entirely different type of narrative that shows the best of the characters. The relationship developed between Rey and Kylo Ren is without a doubt the most rich and complex arc in the entire franchise and Mark Hamill’s performance as Luke Skywalker is far and away a career-best. The film does have a few missteps, particularly in regards to one prequel-like sequence, but its flaws are massively outweighed by its strengths. This instalment has and will continue to divide people, but there’s no doubt that this a Star Wars film unlike any other.